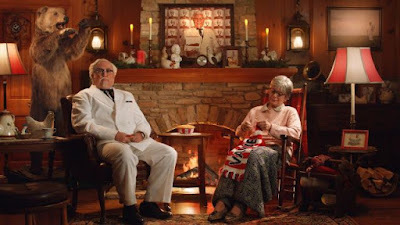 KFC continues their parade of Colonels but takes a slightly different tack with the debut of the first non-celebrity Colonel since the launch of the campaign. The fried chicken chain has hired relatively unknown actor, Christopher Boyer, who has, among his credits, roles like "Sharona's lawyer," "landmine boss," and "older seasoned farmer," to play "Value Colonel" in television ads. The concept here is that they're not spending money on a celebrity Colonel to save money which will allow them to continue to offer value such as pot pies for $3.99 (starting December 26, 2017) and their various $5 Fill Up combos. Interestingly, Boyer actually auditioned for the role of Colonel Sanders back in 2015 when KFC first starting casting for the recent Colonel campaign. Advertising featuring Christopher Boyer as the Value Colonel begins airing Thursday, December 28, 2017.